This is the next build of MCPE where the developers have tried to fix a lot of bugs and added some useful features. But that's not all, the new version now takes up less space and is smaller than the previous one, so the game has been optimized. If you go to settings and scroll down, you will see the storage button. 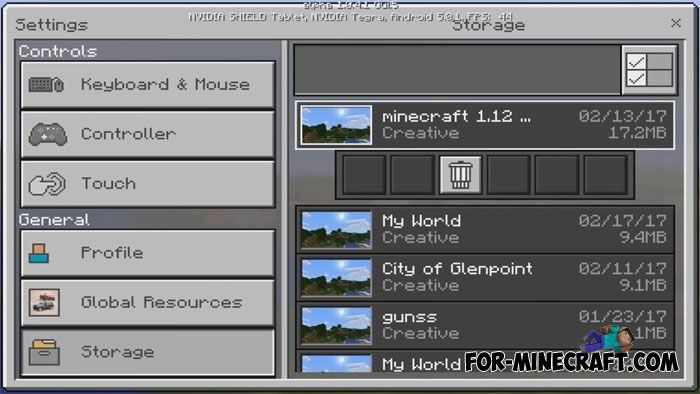 It looks like a file manager that stores all your maps, resource packs and add-ons. The game counts all files and displays a ready-made information. There is a search bar for easy quick search of all files. Rendering option has been changed for those who have not much powerful device. 4 chunks are the minimum amount by which your device will not lag. Well, perhaps the main news for developers of modifications is possible to change the sounds and music using the resource packs. That is in addition to the new textures, you can install custom sounds. 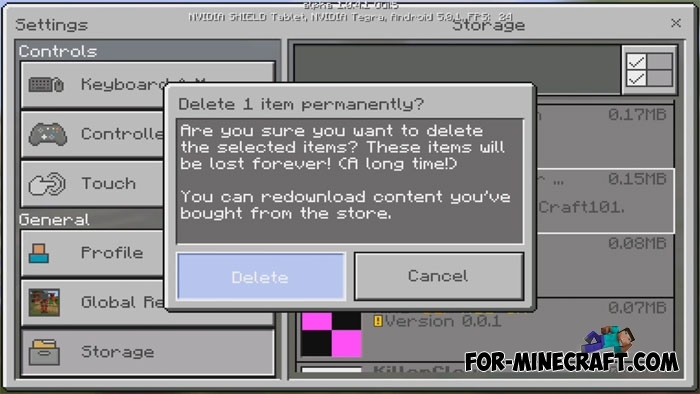 Information about Minecraft PE 1.1 is here. Watch this video, the author has shown all the features.